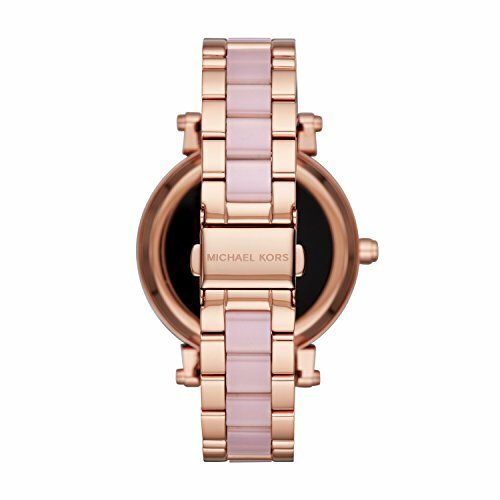 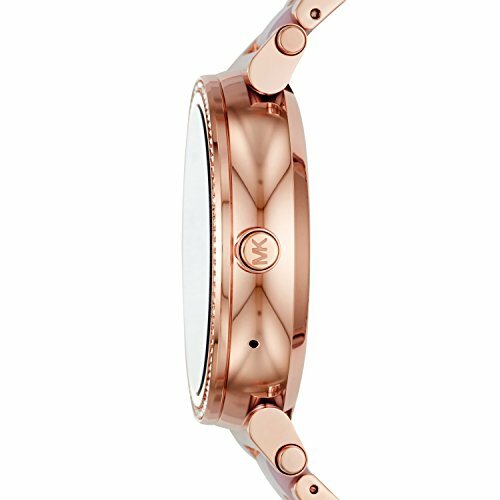 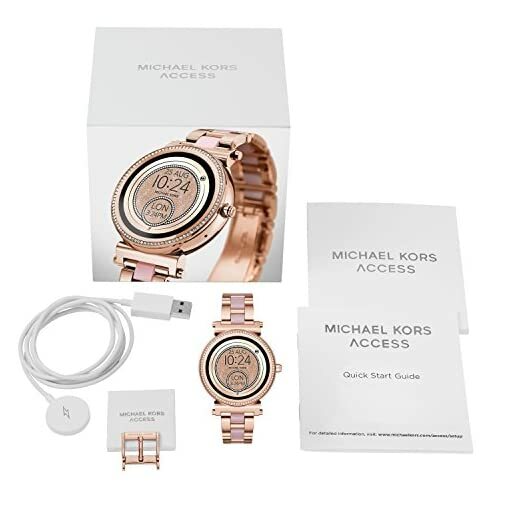 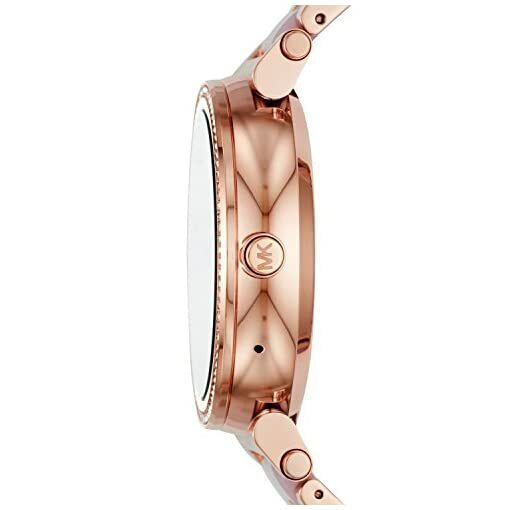 Powered by Android Wear, the Michael Kors Access Sofie rose gold-tone touchscreen smartwatch with full-round display and pave crystal top ring connects with your favorite apps and is compatible with iPhone and Android devices. 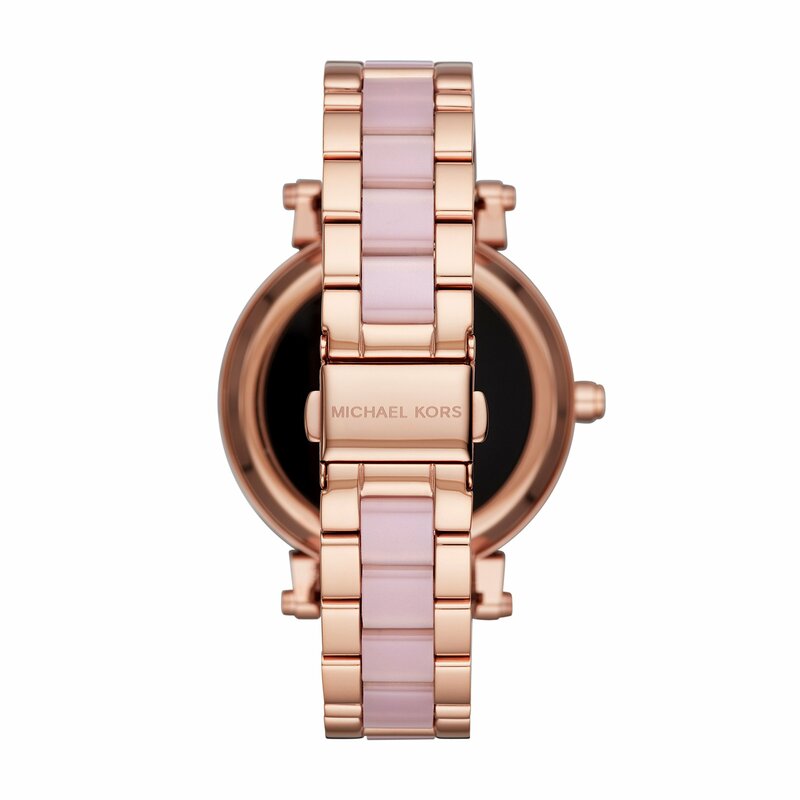 A rose gold-tone 3-link bracelet with an acetate center link completes the look. 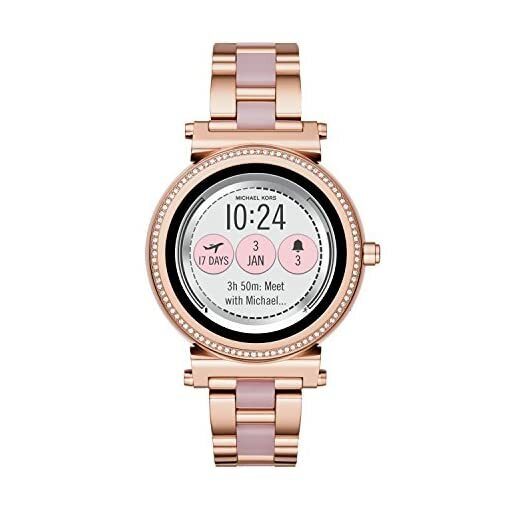 With built-in Google Assistant, you can use voice control to ask questions or give commands. 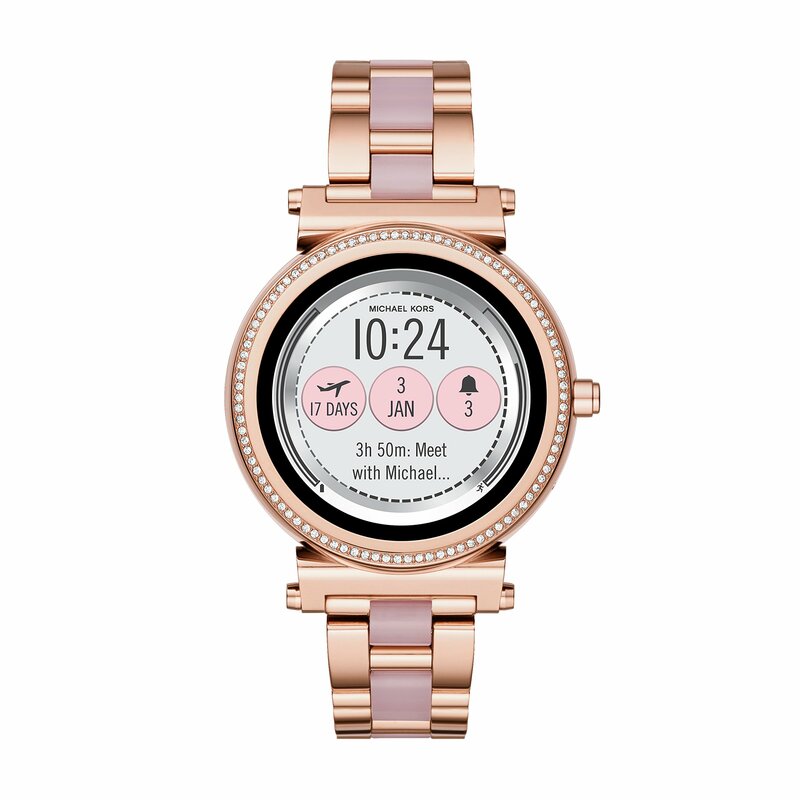 Receive notifications, such as calls and alerts, at a glance as well. 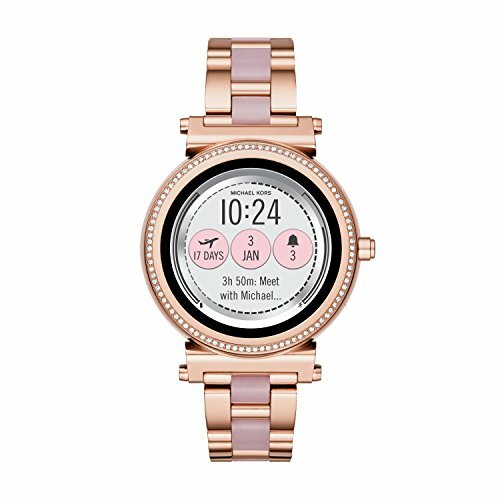 Fully personalize your watch by selecting or customizing the watch face of your choice and changing out the straps to match your activity or look.